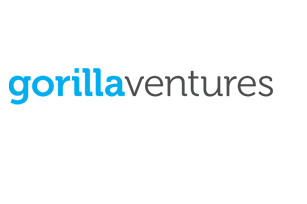 Gorilla Capital (former Gorilla Ventures Accelerator) is is a team of experienced investors with serial entrepreneurial backgrounds. We’ve achieved a total of 3 exits to international buyers ourselves and know what it takes to build your startup into something others would like to own. We’ve been on both sides of the table, hands-on. We’re candid, straightforward, fair and treat founders with utmost respect. We’re supported as Limited Partners by some of Finland’s most successful serial entrepreneurs, major institutional investors and family offices. We’re usually the first institutional money in. We typically invest pre-product market fit alongside business angels and other early-stage investors. Post-investment, we’re here to provide you with guidance on key strategic topics, best practices from our portfolio as well as advise you in understanding what is required to achieve an exit. We want to be kept up-to-date with your business regularly but we don’t mandate on having a seat on your Board. We’re an active investor with 20-25 new investments annually. The application for Kiuas Start Spring 2019 batch is open! The Application for xEdu Spring’19 Acceleration Program is Now Open!